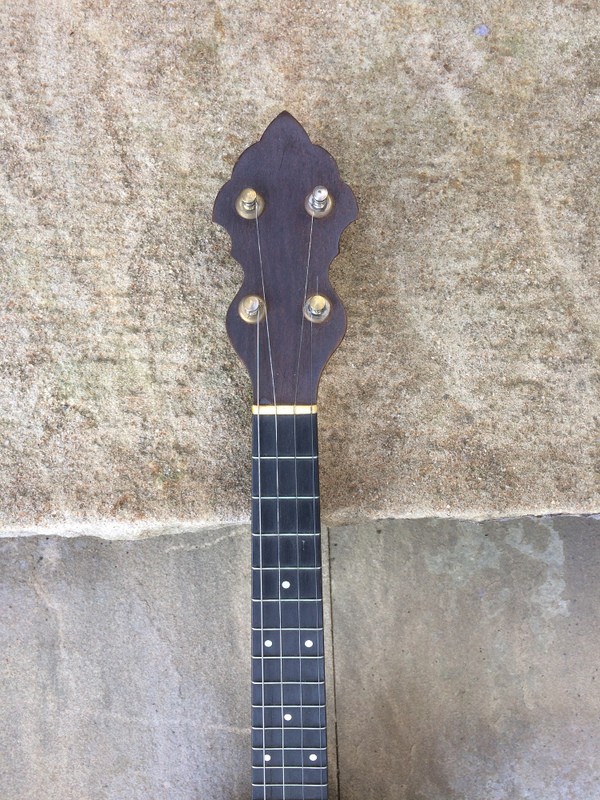 Weymann Banjo Ukulele No. 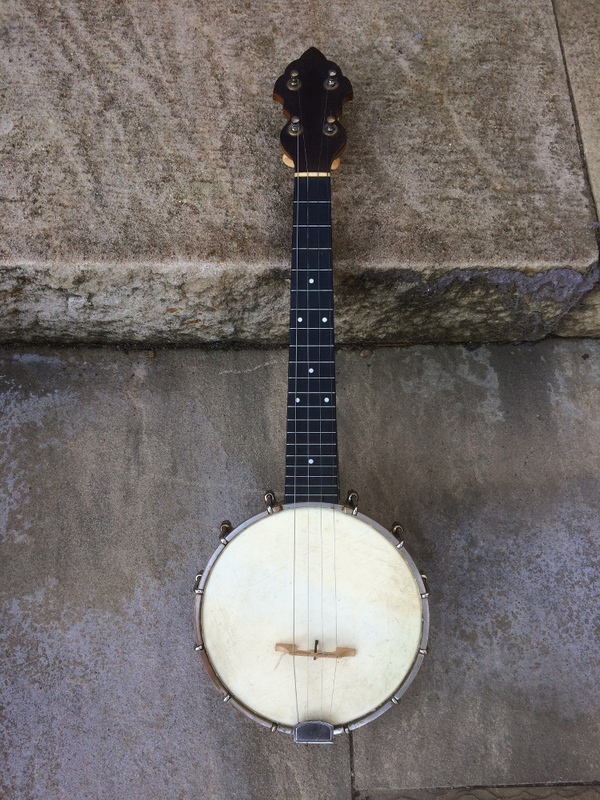 225 c. 1929 | $650 | Another instrument that will just tug at your heart strings is this c. 1929 Weymann banjo uke made in Philadelphia, PA. Originally costing $20 in this open-back form, the No. 225 was a plain but well-crafted instrument, as were all the Weymann products that left the factory. It features a 7" head and twelve brackets, a honey colored maple neck and rim with an ebony fingerboard and pearl position markers. The rim sports the Weymann 'patented' rod. The dowel stick is stamped with both model number, '225' and the serial number '38019'. Neck width at the nut is 1 1/4" The Weymann gold-foil decal is 100% intact. 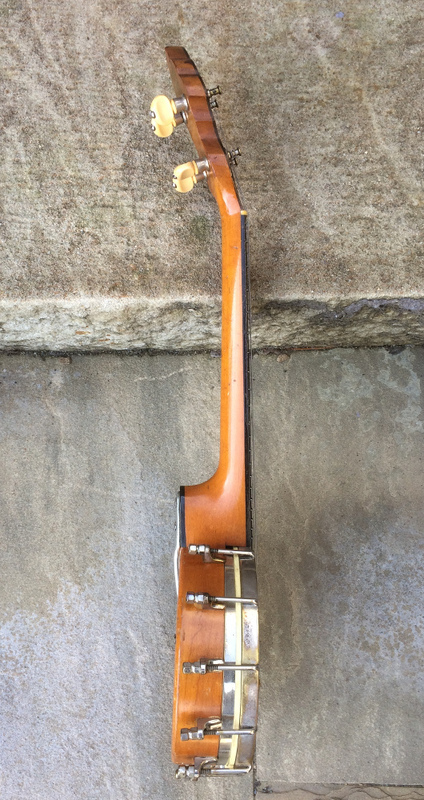 The only notable ding to the piece is a small chip at the back tip of head stock, likely from a less-than-careful case placement. Neck is straight, action is good, frets show only the slightest wear. 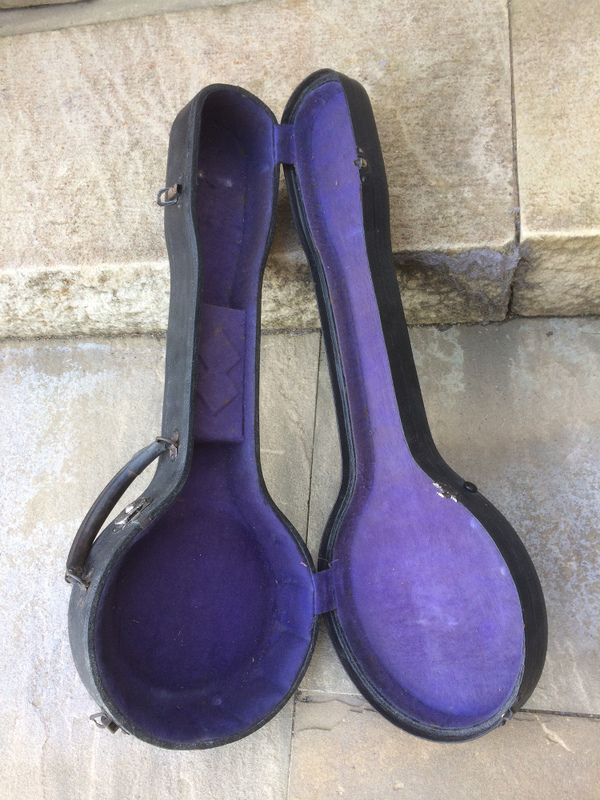 The banjo uke is in extremely fine condition and is all original but for the bridge, and as a bonus, includes its likely original 'Bullshead' double-diamond hard case also in eye-popping condition (the latches still have much of their original black paint). The metal banjo parts retain the bulk of their original nickel plating except for the area on the rim that typically comes in contact with the arm .. here the nickel is worn to the brass. 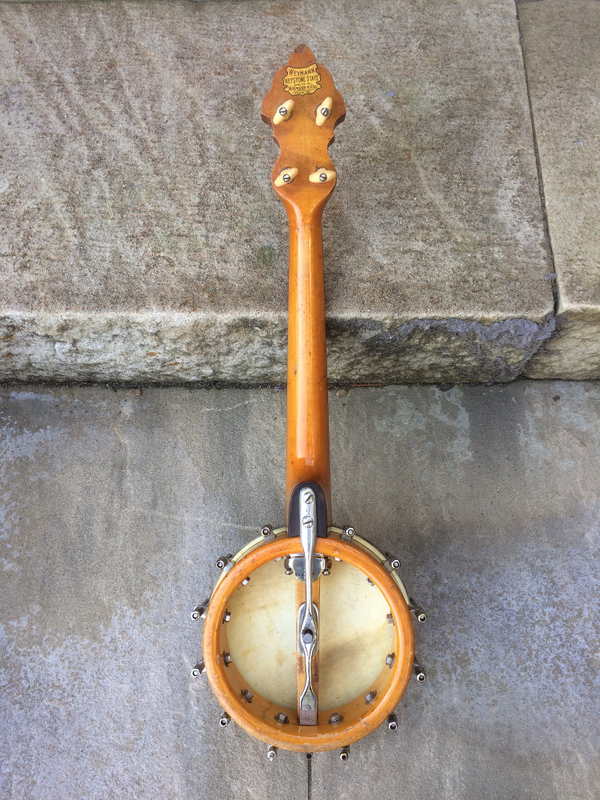 Inscribed on the underside of the head in pencil is the date '3-17-29' which happens to be the date this listing is being entered .. St. Patrick's Day .. the perfect instrument for a Leprechaun, or anyone looking for a near-mint Weymann banjo uke!